Sustainable Seafood: What is sustainable and What is not? How do we know which is what and what is which? Thumbs Up for President Obama who Announces Plan to Protect Alaska’s Bristol Bay From Future Oil and Gas Drilling!!! In a White house press release and video message posted online, President Obama announced his plan to designate Bristol Bay as off limits to consideration for oil and gas leasing, exploration and drilling — an action that will safeguard waters that help provide 40 percent of USA’s wild-caught seafood, support a $2 billion annual fishing industry, and are vital to the commercial fishing and tourism economy and to Alaska Native communities. “Bristol Bay is at the heart one of the world’s most valuable fisheries, helping to provide 40 percent of America’s wild-caught seafood and support a $2 billion annual fishing industry. The beautiful and remote area is also an economic engine for tourism in Alaska, driving $100 million in recreational fishing and tourism activity every year. Bristol Bay hosts the largest runs of wild sockeye salmon in the world, and provides important habitat for many species, including the threatened Stellar’s eider, sea otters, seals, walruses, Beluga and Killer whales, and the endangered North Pacific Right Whale. Today’s decision to withdraw the area from all future oil and gas leasing extends indefinitely a temporary withdrawal that President Obama issued in 2010 and was set to expire in 2017. This action builds on decades of local efforts to protect Bristol Bay from oil and gas development by Alaska Native tribes and organizations, as well as local seafood and tourism businesses that create jobs and strengthen Alaska and the nation’s economy. It also honors the legacy of Alaska residents like Harold ‘Harvey’ Samuelsen, a salmon fisherman who is legendary for his lifelong dedication to Bristol Bay and to creating economic opportunities for Alaska Native and rural communities. The North Aleutian Basin Planning Area that includes Bristol Bay consists of approximately 32.5 million acres, a portion of which was leased in the mid-1980s but never developed due to litigation. The previous Administration set in motion a new lease sale for 2011 that would have opened approximately 5.6 million acres – about one-fifth of the planning area – for drilling. In 2010, President Obama temporarily withdrew the Bristol Bay area from oil and gas development, exercising his authority under section 12 of the Outer Continental Shelf Lands Act, which gives the President authority to withdraw offshore areas from potential oil and gas leasing. President Eisenhower was the first to exercise the authority in 1960, withdrawing an area now included in the Florida Keys National Marine Sanctuary. Since then, Presidents on both sides of the aisle have acted to withdraw areas of the Outer Continental Shelf from oil and gas leasing. The current Five Year Program for 2012–2017, which expires in August 2017, schedules 15 potential lease sales in six planning areas with the greatest resource potential, including more than 75 percent of the estimated undiscovered, technically recoverable oil and gas resources in federal offshore waters. 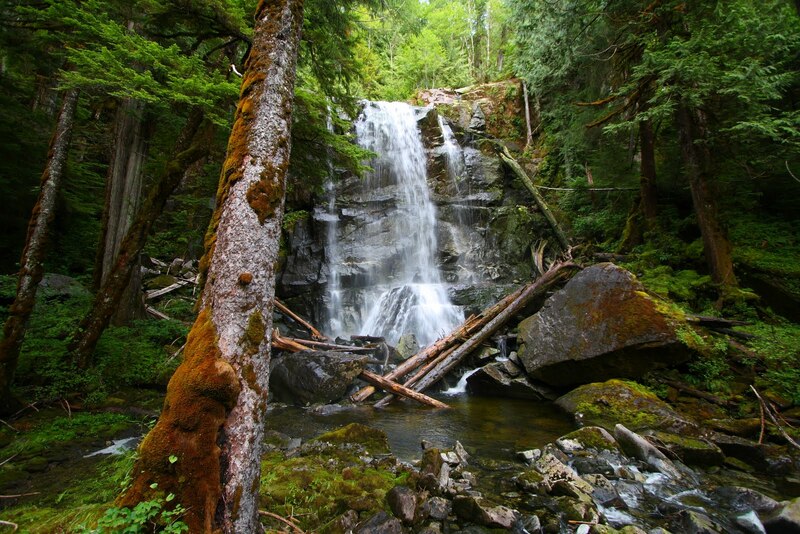 This Action by the US President must have come as GIGANTIC relief for a multitude of campaigners that have been working hard for years, trying to ensure the protection of this pristine wilderness area. 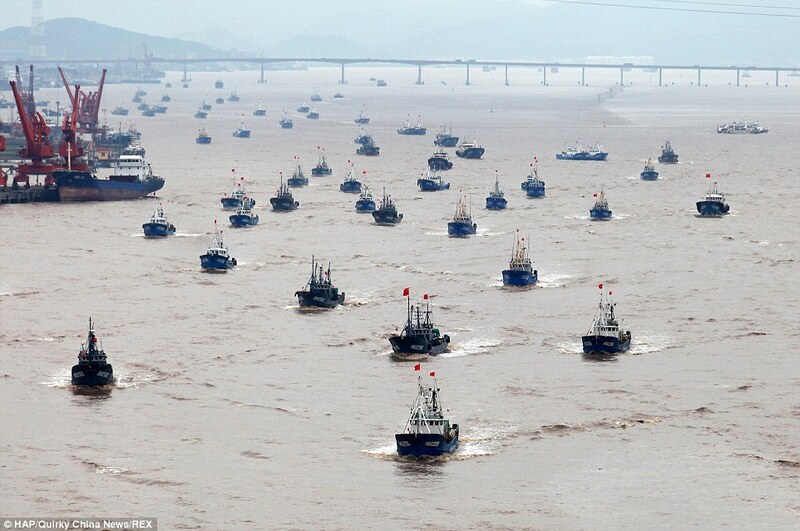 I just saw some incredible pictures in the Daily Mail that provide just a hint of the colossal volume of Chinese fishing capacity. 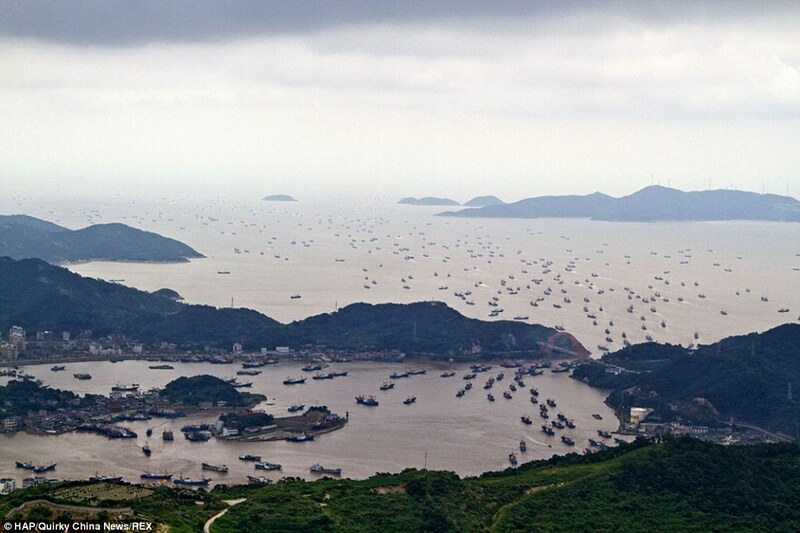 The photo- article entitled “Out to lunch: Extraordinary moment thousands of Chinese trawlers head out to sea after three-month ban on fishing is lifted” provides a glimpse of the capacity of chinese fishing capacity, keeping in mind that all of these vessels are departing from one port; Ningbo in Zhejiang Province! 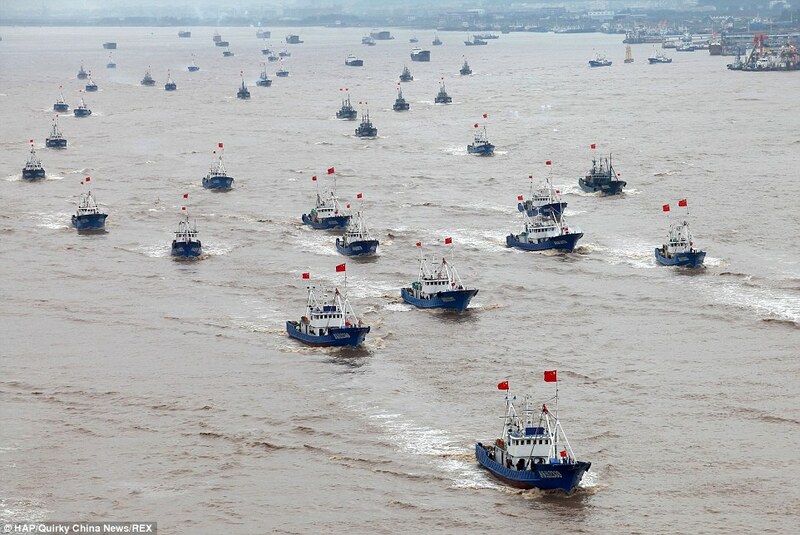 Thousands of Chinese trawlers rushed out into the East China Sea today after a three-month-long summer fishing moratorium ended. 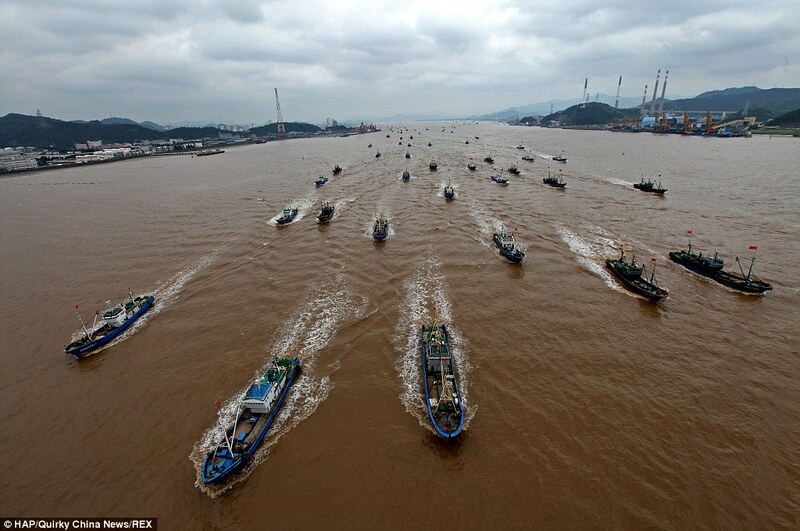 These incredible images of boats setting out from a harbour in Ningbo, Zhejiang Province, show just why China harvests more fish than any other country. Although China has one fifth of the world’s population, it consumes a third of the world’s fish – some 50 million tonnes a year. The worldwide average of fish consumption is just over 16 kilos a year, but in China the average person will get through almost twice that. Every year, there is a three-month ban on fishing to allow stocks to breed and recover, but it has done little to stop a massive decline. Fishermen themselves blame pollution, but environmental experts say overfishing has in particular decimated the numbers of mature adult fish and has made many varieties almost impossible now to find. 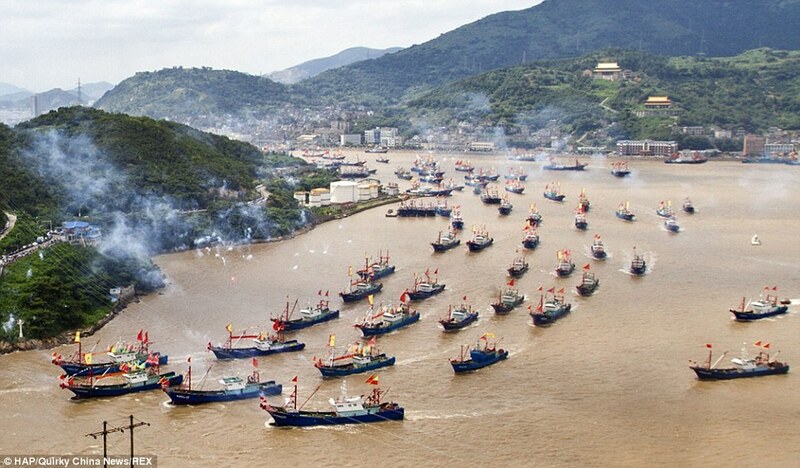 For locals in Ningbo, the annual sight of the boats once again setting out into the Pacific Ocean at the start of the fishing season is a good reason for a day trip out. But for the fishermen themselves, the start of the season is unlikely to bring good news. Catches of the four main species – the Japanese Spanish mackerel, eel and the large and small yellow croaker – have plummeted. In the past, a successful fishing trip might have netted hundreds of kilograms of the large yellow croaker, but according to one captain most fishermen only get a few a year now, meaning prices were now forty or fifty times as much. Mo Zhaolan, a researcher at China’s Institute of Oceanology, said that overfishing and pollution were having a much bigger impact than a decade ago. Once large and valuable fish have been overfished, attention turns to a less valuable species, with the process continuing until all species have been over-exploited, fisheries depleted and biodiversity irreparably damaged.